You are currently browsing the daily archive for January 27, 2018. 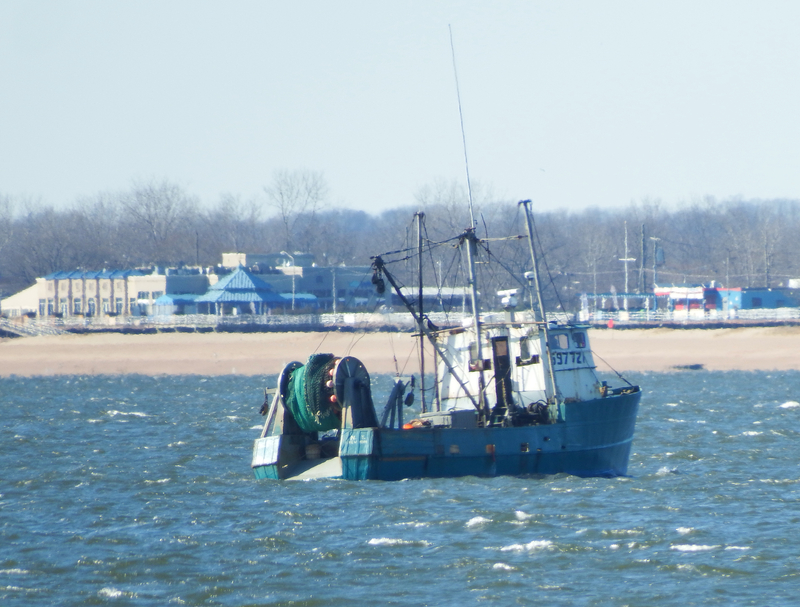 A surprising feature of the sixth boro in winter is the fishing, dragging for clams. 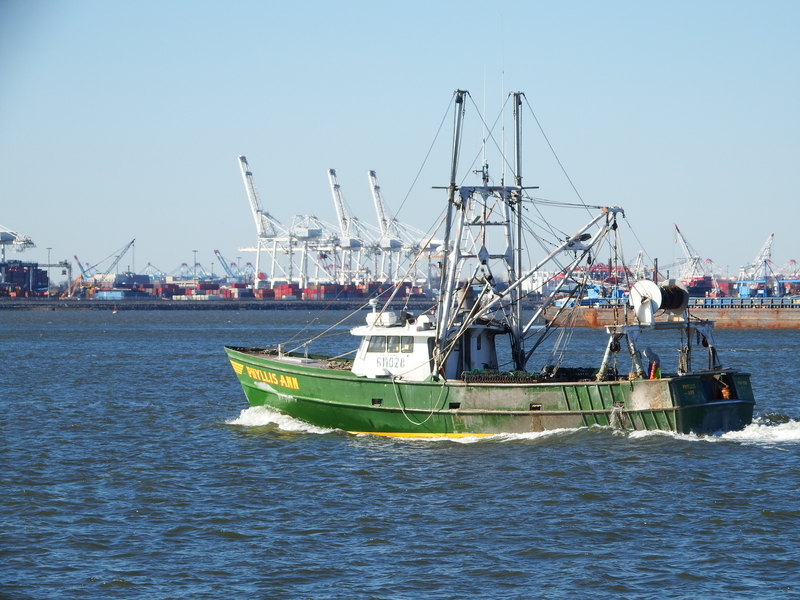 And many thanks to Steve Turi for sending along this article about this fishery from north jersey.com. 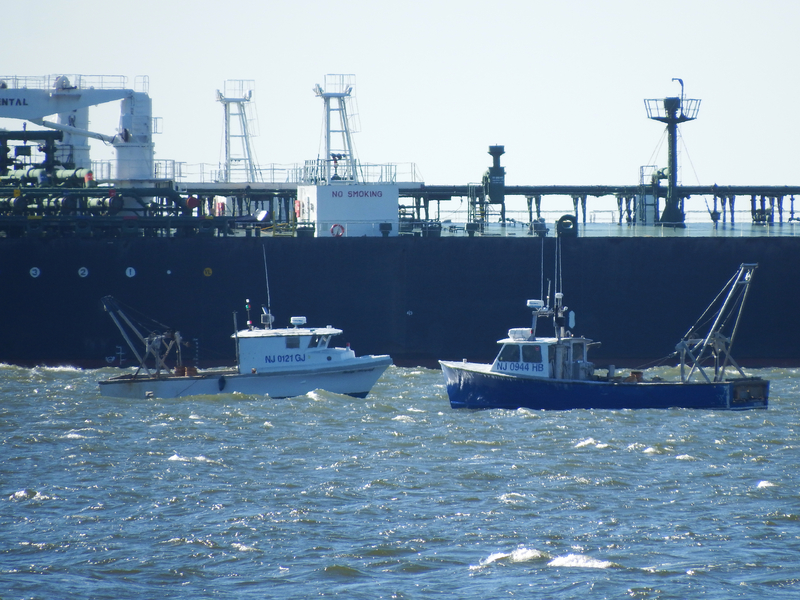 Here are some previous winters’ posts about these boats. And right about exactly eight years ago, I saw the greatest concentration of fishing boats here. 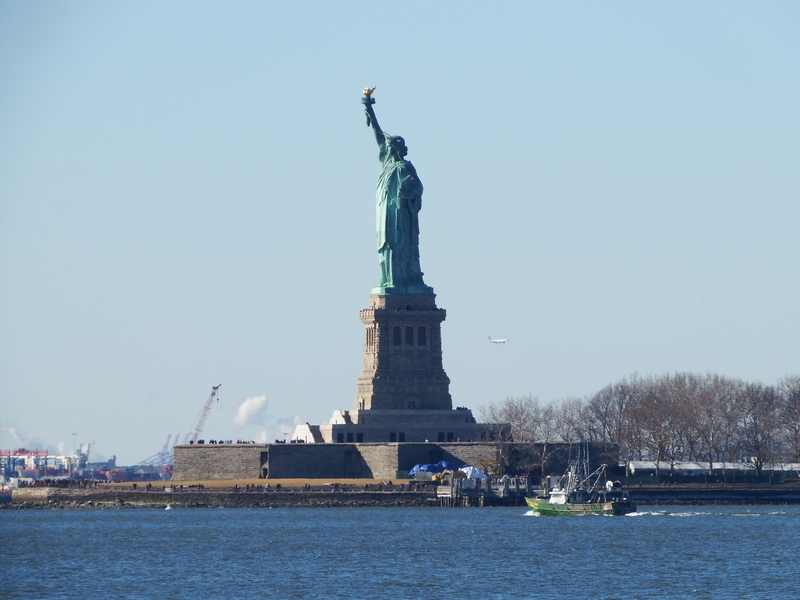 Successful fishing relies on knowing habitat; famous statues have nothing to do with it. for a fierce reptile, Densa Alligator. But it must have been a productive location. 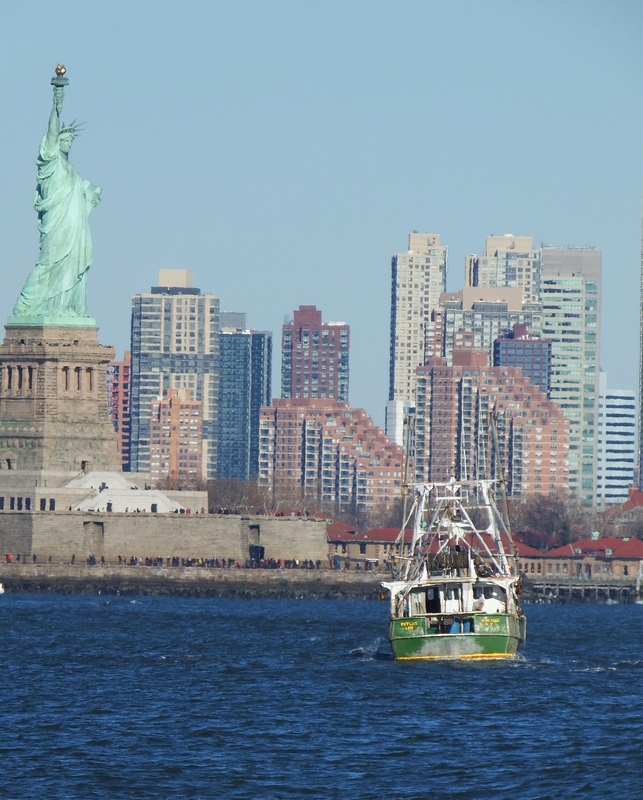 Next time you enjoy a delicious bowl of clam chowder, think about these fisherman. 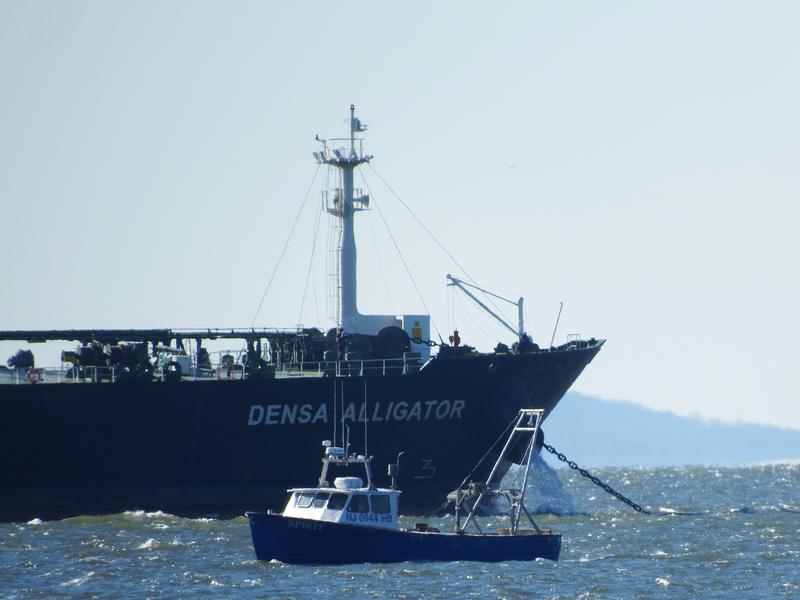 All photos by Will Van Dorp, who wonders whether there are more crude tankers like D. Alligator coming in this winter than usual.